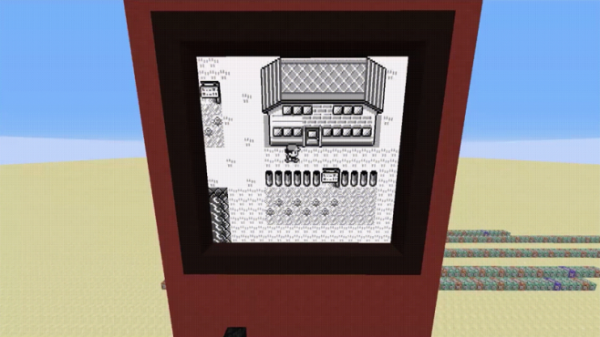 You can build pretty much anything in Minecraft, including a Pokémon game if you put your mind to it. Redditor MrSquishyYT has been beavering away in Minecraft, and after much heartache and sacrifice (probably), he’s created a functioning version of Pokémon Red. In an interview with htxt.africa, MrSquishyYT, whose real name is Matt, said that he started the project after recreating Pac-Man in Minecraft. The project is ticking along, with most of the start menu systems finished, along with wild encounters, but Matt still has work to do on the NPCs. “The game doesn’t know that anyone beyond the player currently exists. Adding NPCs will require a whole slew of new systems, such as stores, trainer battles, scripted events, and the ability to interact with objects in the world. It’s a huge undertaking, but when the project is complete, Matt will make the map available to download. What’s your proudest Minecraft achievement? I’d submit mine, but I don’t think living underground as a mole person after a spot of mining has gotten out of hand counts.